The year is 2003 and an unimaginable combination of music has come together for the very first time. Unlikely bed partners Drum n Bass and Trance have found fusion across the globe from nearly all the major players in DnB. And long-time underground Jungle / DnB artists CLRH2O & Jaybee create UltraTRNC - an experimentation within this sound taken to its extreme - and the result is so unabashedly intense that no right moment for its release seemed possible….. UltraTRNC is shelved for years. Fast forward 4 long cycles. FORCE Recordings premier artist aFlame falls in love with what is now a Pattern Recognition VIP only classic. After months of badgering to create a reworking of UltraTRNC of his own, aFlame is set free on what has now become a pure ANTHEM of a remix. Pattern Recognition’s original UltraTRNC would likely have never been released were it not for this amazing re-envisioning by aFlame. aFlame’s UltraTRNC ‘Tonal Mix’ is an anthem in every sense of the word, plain and simple! Combining front row elements of both DnB and Trance into a sprawling 9:30 minute package that even includes a full new school breaks midland segment -it’s perfect for genera bending djs and those who love to break rules in their sets. The textures are so lush, the lead synths so ridiculously raw, the apr lines so completely unleashed and out of bounds that it’s impossible to not be drawn into the complexity of aFlame’s work. 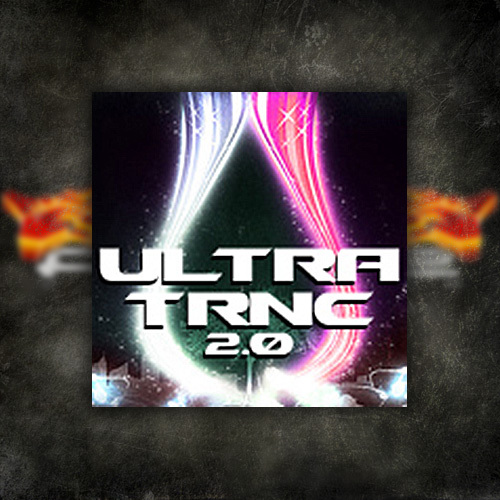 This ‘Tonal’ version of UltraTRNC is entirely in a class of its own standing tall in the ocean of me to DNB! It doesn’t follow convention and pleases entirely as a result.